At one time life was simple and we knew all the answers. The cause of disease (and everything else) was God, often acting in response to the sins of mankind. The public health officials of the time might have advised “less sin”, but either the population ignored the advice or the concept was flawed. 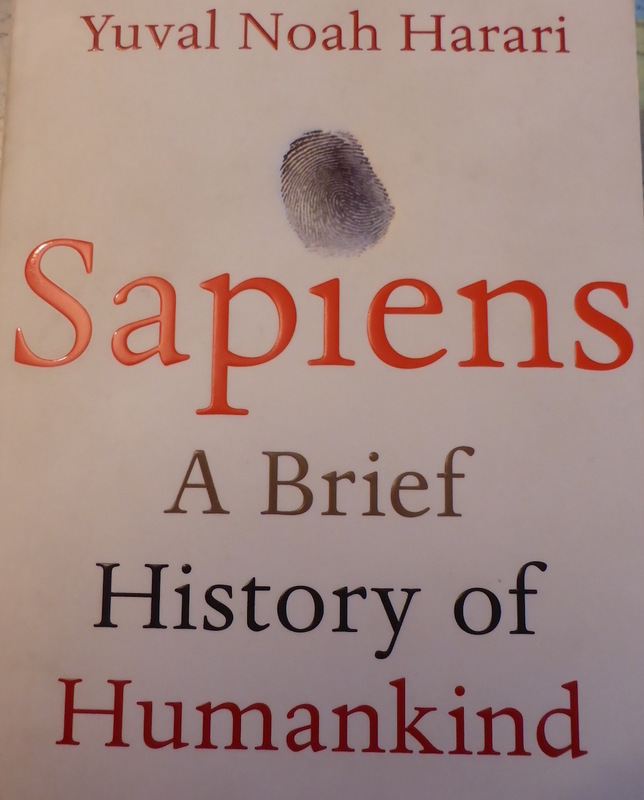 The most important discovery of the Age of Enlightenment was “ignorance”, the realisation that divine intervention was at the very best unreliable, and probably non-existent. We were therefore ignorant of the causes of disease. 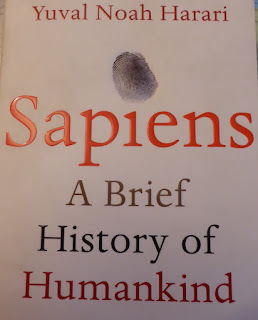 Yuval Noah Harari, in his remarkable book “Sapiens - a brief history of humankind” proposes that the unique attribute of Homo sapiens, the present humankind, is our ability to create abstract ideas, to create fictions. Our many gods are clear examples of this. Fictions are our attempt to explain the world as we experience it. We use fictions to try to make sense of the diseases that afflict us. Often these indicate the blaming of the victims for the errors of their ways, eating the wrong foods, not taking sufficient exercise, or, the greatest sin of all, smoking. In the absence of divine activity we must search for physical explanations for diseases. We can classify inherited disorders, which can be genetic (from the moment of conception) and congenital (abnormalities of our construction), and both of these in the past have been ascribed to divine retribution for the sins of the parents. Disease acquired after birth can be due to environmental factors, which can be physical (injury, heat, cold), chemical (poisons meaning too much, or deficiencies meaning too little), or biological (a wide variety of micro-organisms). The elusive nature of “proof” is described and advanced by “Hill’s Criteria”, in an associated Post. Science starts with observation. We look for clues to give us a way to construct a fiction of causation, called a theory or hypothesis, or a paradigm when it receives general acceptance. But fictions are not absolute truths and fictions change with increasing knowledge. Causation is complex. For example we have seen that although we accept that cigarettesmoking is the major cause of lung cancer, the fact that only 10% of heavy smokers die from lung cancer indicates that other factors must be considered. These can be viewed as “susceptibility factors”, or perhaps “protective factors”. We can regard disease as the result of interaction between “the cause” together with susceptibility or protective factors, which might be genetic or environmental. Clues to the identification of susceptibility and protective factors, and indirectly to causation, can be gained from comparing disease incidence in different populations, that is the geography of disease. This is an important dimension of epidemiology. An example is the “Greek paradox”. I have been warned that data from Greece may not be entirely reliable as it is a country with an unusually well-developed culture of fiction. 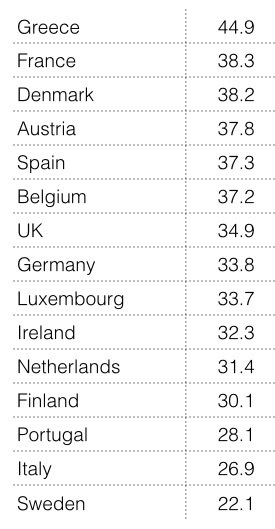 However WHO data that includes Greece is the best data that we have and we cannot ignore it. 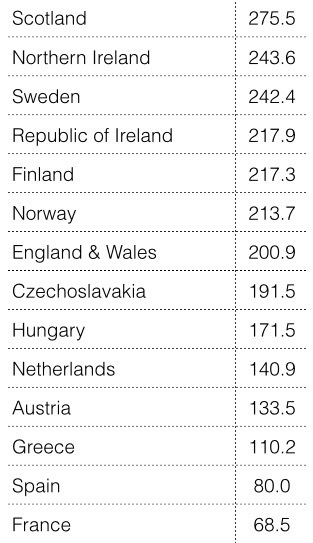 However Greece has within Europe the lowest age-standardised death rate from coronary heart disease (CHD). The paradox is that cigarette smoking is considered to be a major causative factor of CHD. 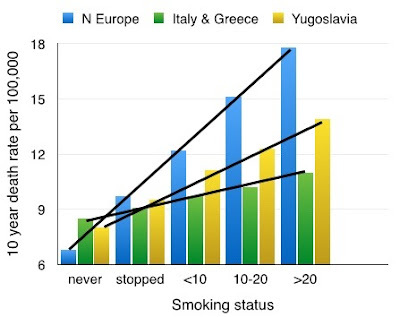 Where there is a high prevalence of cigarette smoking we expect to find a high death rate from CHD, but not so in Greece. In Table 2 we see age adjusted death rates in men from myocardial infarction (data from WHO 1986). Why is it that cigarette smoking in Greece does not cause the high incidence of premature death from CHD that it does in other countries? 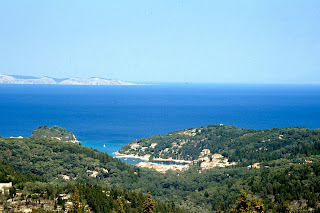 “The Seven Countries Study” written Ancel Keys has been the subject of a previous Post. Although methodology was far from perfect and conclusions were not very objective, the study provides a great deal of data. It was very influential in its false conclusion that animal fats cause CHD, and this led to inappropriate diet manipulation over a period of 50 years, continuing to present time. 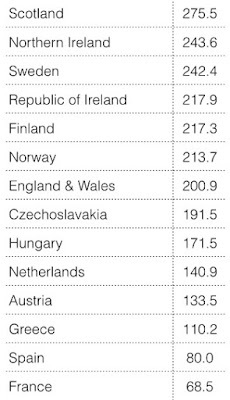 The study recorded CHD death rates in population samples in some countries within western and central Europe. From the data presented we are able to see that as expected the risk of a man dying from CHD increases with the number of cigarettes smoked. 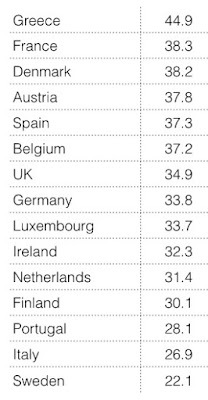 This is obvious if we look at countries in Northern Europe. The slope of the graph-line rises steeply, indicating that as the number of cigarettes smoked increases, the CHD death rate increases substantially. However the slope of the graph-line is different in what was then Yugoslavia, mainly Serbia (study population from Belgrade). 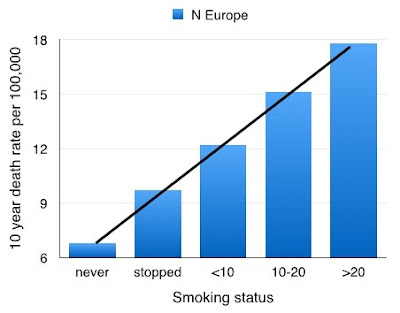 In this more central country of Europe, the graph-line once again shows an increasing incidence of CHD death with an increasing number of cigarettes smoked, but the graph-line is not as steep. 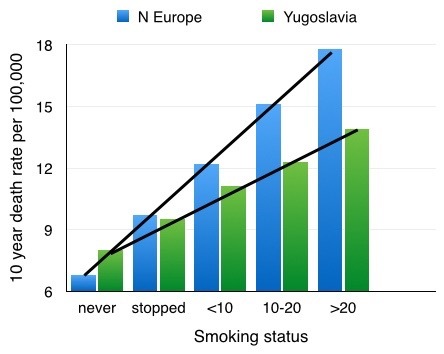 This indicates that the damaging effects of smoking in Serbia are not as great as in the northern countries. If we now look at Greece and Italy, countries in the south of Europe we see a graph-line that is almost flat. This indicates that the risk of CHD death at the age in the study is very low in those who do not smoke, and this is what we expect. However the risk increases only marginally in those who smoke heavily. What this means is that the risk of a heavy smoker dying from CHD increases dramatically as we move north through Europe. If we look at the low or no cigarette smoking rates in the three European regions we see little difference. If however we look at the heavy smoking group we see a major difference. It appears to be fairly safe someone in Greece to smoke heavily but it is very dangerous for someone in the northern countries of Europe. 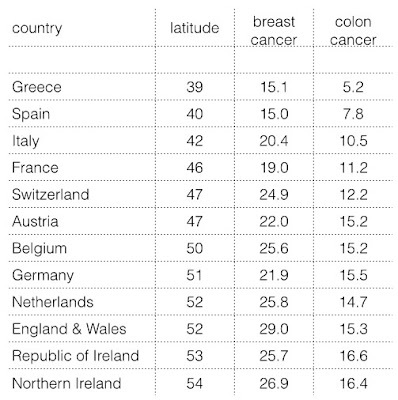 But this feature of Greece and Southern European countries is seen in more diseases than CHD. 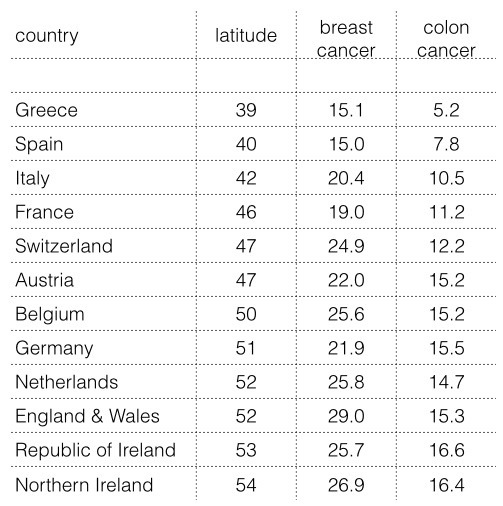 There is a similar observation of the incidence of breast cancer and colon cancer having a diminishing incidence in the south of Europe compared to the north. The first observation of a latitude effect of cancer incidence was in North America. 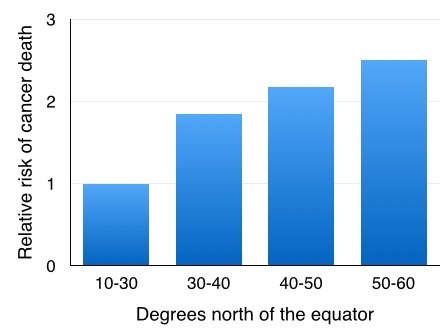 Death rates from cancer increase in the northern parts compared to the southern parts. The obvious and most simple difference between places closer compared to more distant from the equator is the climate, and in particular the different intensity of the sun. The observations of cancer death rates and the effect of cigarette smoking on CHD death supports the proposal that exposure to the sun (avoiding severe sunburn) is a great advantage to our health, and reduces the risk of damage from cigarettes. There is evidence of a help from vitamin D and the sun in thosewho are diagnosed with lung cancer, in an associated Post. 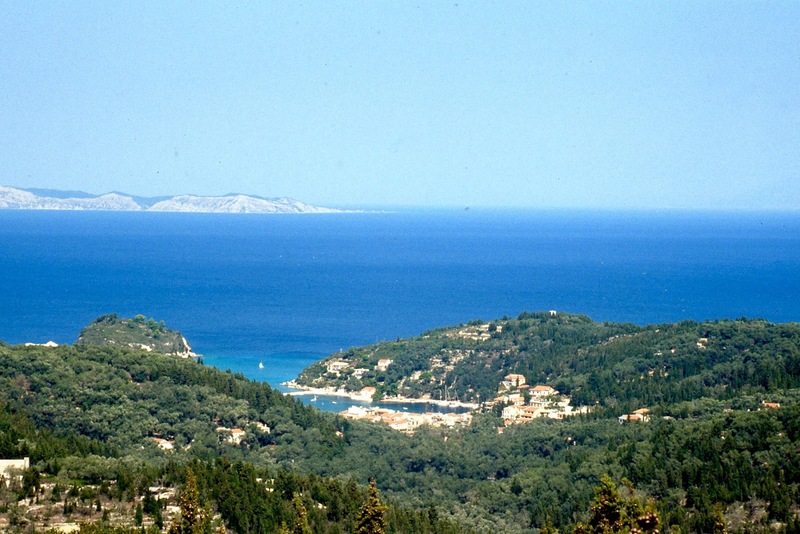 If someone wishes to enjoy good health and a long life but nevertheless wishes to smoke, then it is advisable to live in Greece - see Post Sir Patrick Leigh Fermor (died aged 93).